- No cfg editing, save editing, debug menu or anything else like that. - Entries must be a single launch, with no interaction with any other vessels already in flight or launched afterward. - The base of the lifter must be close to the pad surface, preferably touching it. No kilometer-high launch clamps please. - Video of the full launch would be the best! Higher is always better, and the score will be rounded to two decimal places. All the categories habe been added so you can start sending in crafts! 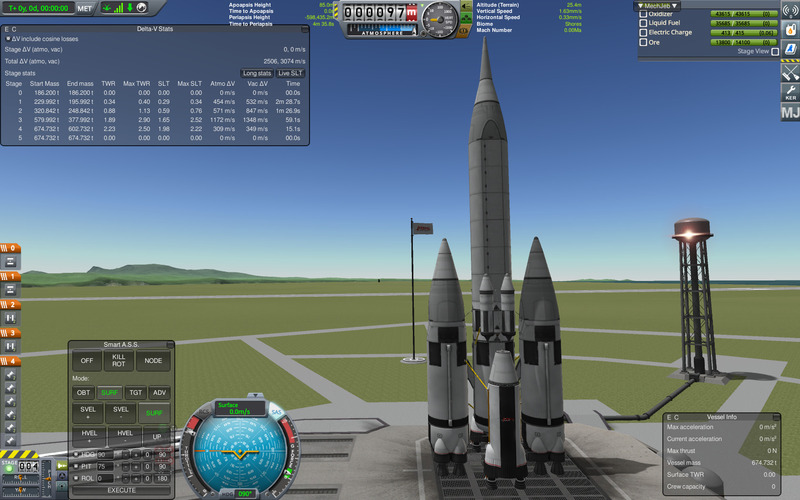 Rocket Only: Rocket engines only (no ions, jets, nerv's or Rapiers in open cycle mode), no recovery necessary. Rocket Only Recovery: Rocket engines only (no ions, jets, nerv's or Rapiers in open cycle) all stages MUST be recovered. 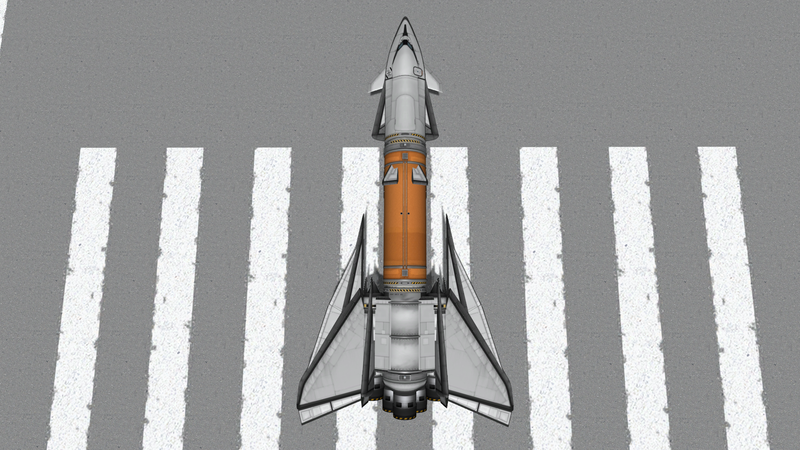 SpacePlane SSTO: All engine types are allowed, must be launched horizontally from the KSC runway. *just for SPH SSTO* You MUST land on KSC Runway grounds! For this iteration, may I ask you to specify this one rule a bit better? Taking this as it's written, one could place the payload on a 90x90km orbit and still be allowed - might as well just simply state 90km as the minimum Pe. Rocket Only (no recovery) 1.825/9.825 = 18.58% to 90km Pe orbit obviously better is possible because payload has some excess Ap. Why are autopilots forbidden? The original challenge allowed them, and most of the entries used them. I'm entering a small overpowered spaceplane, but I'm somehow unenthusiastic about flying a true heavy "payload fraction" spaceplane up there manually, it's just too tedious. Rather inefficiently brought back 1 980 kg of fuel, but that's on me. I used MechJeb, but, as can be seen in the video, only the info readouts were used. Why are autopilots forbidden? The original challenge allowed them, and most of the entries used them. ^^ This. Once you've flown 100 or more flights where you have to carefully simulate just the right analog input by tapping an arrow key at JUST the right frequency, it's time to recognize that being good at that skill is a silly life goal. Buying a good flight joystick is an option, but using an autopilot to hold the controls at exactly 43% up is fine too. Autopilots should be permitted for this challenge. All the people who achieved good payload fractions used understanding of design and aerodynamics, and the flight portion came down to figuring out the right flight profile and engineering a craft that could fly it. Skillfully timed key-mashing shouldn't be part of the contest just because they don't own a joystick. I submitted this craft in the old thread. Was created in 1.3.0 so is valid to enter this one. Oxidizer free lifter, 43.7% payload fraction, no autopilot, just set the thing on prograde hold. @gchristopher and @Eidahlil I have updated the rules because you guys had a great point. 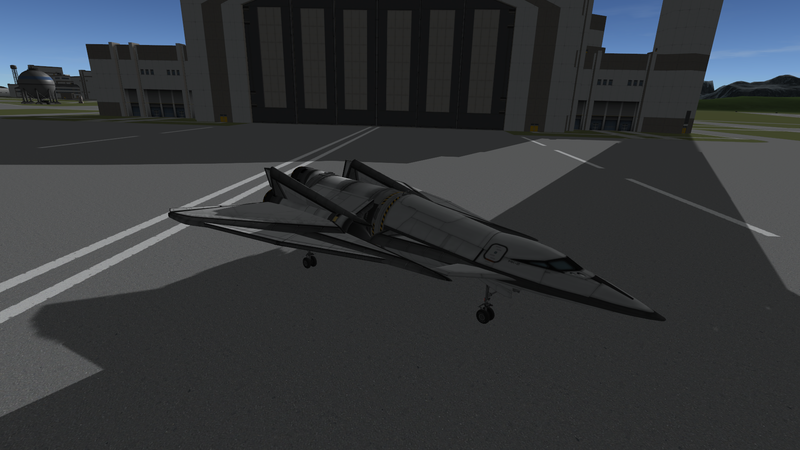 @AeroGav Your SSTO is up there too! OK guys, Christmas is approaching, so it's time to fatten up the Turkey. Added a seventh nerv, trim flaps, extra wings, and more fuel. It's taken me about 8 hours to crack that milestone, repeatedly running barely short (last flight ran out of fuel in a 91 x 77km orbit) with 45 minutes per flight, the last attempt using every trick i could think of (rolling down the first half of the runway in dry power to save fuel ), so this definitely counts as a stunt rather than a practical proposition. 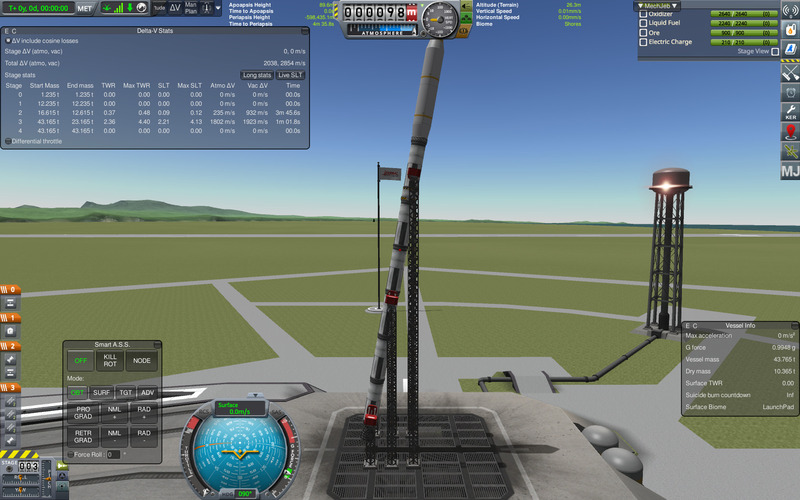 Put reaction wheels back and decent sized landing gear back on it and you'd have a nice little lifter though. - xenon tanks instead of ore - probably even denser, better mass/drag ratio? - fairing instead of mk3 cargo bay? What's the odds that the small size landing gears on the nose blow up on touchdown? I think I can claim 25% for non-recoverable rocketry. Small gallery and craft file -> here <-. ETA: takeoff mass 43.165, payload is a nice round 11t. The game crashed when i shot the first vid, so i started saving every 5 minutes on attempt 2. This is sped up 2x. Save scummed twice - as i was descending mach 5 over space centre continent, i wasn't aggressive enough trying to bleed speed, did a horizontal 180 which took my miles out over the sea. Probably had enough fuel and glide range to get back, but it would have been a 20 minute cruise, so redid that bit with an inverted half loop. After that we had a final touchdown blooper - had no idea what the approach speed was (having not flown it empty or landed this version of the plane before) ended up floating down the whole runway, deciding to go around (retracted the gear) just as airspeed finally ran out and before the engines could spool up. Ended up flopping down wheels up on the last few metres of runway then skidding off the end. Not much damage apart from the lower nuke pair getting crushed and spreading radioactive stuff. So we savescummed short finals, using the cargo bay as an airbrake to scrub off a bit more speed. - or a smaller version of the above, carrying xenon tanks to orbit. That's almost practical, since you can't mine xenon.. This is an almost complete copy of Laie's craft, tuned a little so that the payload fraction is improved by 1%. That rocket has impressive length, I must say. 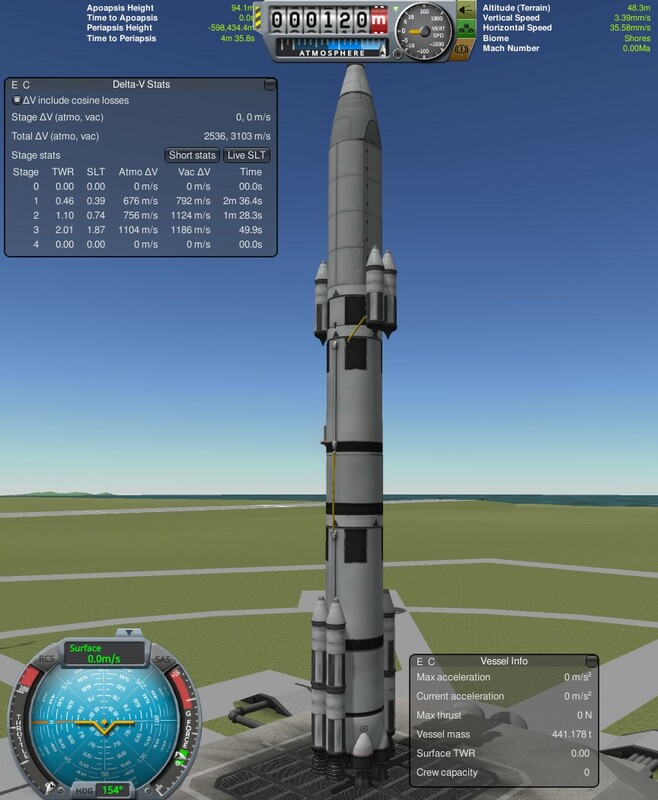 117t payload, 442t rocket, for another 26.5% payload fraction. Craft file. As it is, get it to a ~50sec time-to-apoapsis on the first stage and then just stick to surface prograde. There's still room for improvement so this isn't a proper entry. I'm just leaving this here because a) I gotta go and b) I totally expect @SanderB to eke out another half percent in any case, so why bother? In german the saying is "länge läuft". Could be translated as "length runs well" or so, I'm certain english-speaking engineers have come up with a similar phrase. If someone beats his own fraction, should he get another place on the board or just 1 place on the board and a place on a sub-board including all the beaten times? I've slightly exceeded Laie's exceptation and got to 27.2% (120,875/444,928) with a slightly modified version. I expect that 0.2% perhaps 0.3% can be added by adding more to the payload, staging as efficiently as a KOS script would and not exceeding the ap by more than 1 meter. Craft file. Flying instructions: Turn on SAS, stage, SAS prograde at 110m/s airspeed. (stage twice whenever an engine cuts out.) Once pitch is less than 10 degrees, maintain pitch at 10 deg. When AP is 90km, cut off engines. Circularize at AP. I think more efficiency might also be achieved by not forcing pitch to be no less than 10 deg while thrusting but I can't be bother to try. I'd say that depends. Slight variations on the same topic are probably not worthwhile, but wholly different designs may be. Threads like this can be a great educational resource, but to that end you should probably point out noteworthy entries. Like, well-documented "how to" ascents or designs that are somewhat unusual but easy to understand (I'd put my first entry with it's low-power 2nd stage in that category). The most teachable ones are not necessarily those that score the best. I'm impressed but (begging your pardon) not really surprised. However, over the day I figured that there's room for considerable improvement: the last stage is quite overpowered while the first leaves much to be desired. Also, that the KR-2L went unused at takeoff bothered me. It's surface TWR may be bad, yet utilizing it to some degree just *had* to be better than carrying it aloft as payload. The LFBs may also not have the best ISP, but I consider them more as self-propelled fuel tanks: most of the fuel they carry is burned in the more efficient Mammoth engines. Adding them required an even heavier payload to maintain the target fraction, but as it turned out that didn't hamper the upper stages at all. Two sparks for control because #lolnogimbal Aerospikes. Not that I expect that score to stand long. I have an inkling that more Mammoths and Aerospikes would do even better. Maybe even a hint of nukes -- if one keeps them running all the way from the ground up, they have to be good for something. You need basically no thrust for the last 200m/s, so they could be the last candle burning. I livestreamed this too, so after it's processing you'll have a video. Took me long enough, this was hard. Addendum, just saw how this architecture falls a tad short, no pun intended, I have some room for improvement, I'll be revisiting this this evening. @SanderB so how long until you one-up this one? Lots of very long and thin mk1 sized rockets out there, but do people know that 2.5m fuel tanks have the best capacity / drag ratio of all ? Maybe an orange tank based lifter, with a 2.5m tricoupler and some aerospikes/vectors ?